I am pursuing opportunities to work with interdisciplinary teams building projects that make a positive impact. 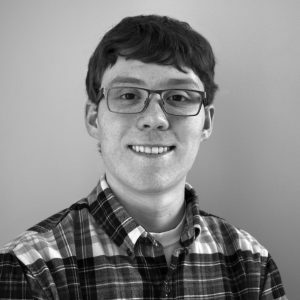 I am a 5th Year Scholar at Carnegie Mellon University in Pittsburgh, Pennsylvania, with a degree in Electrical and Computer Engineering with a minor in Physical Computing. During my 5th year, I am studying woodworking, textiles, and bagpipes. I am also working on several projects to increase student access to making resources including founding and running a making club as well as designing and implementing and update to a dorm makerspace. At CMU I am involved in the Kiltie band and am a teacher for a student-taught robotics class. I have worked as a teaching assistant for 60-223 Intro to Physical Computing twice and 49-413 Designing for the Internet of Things once. I also worked in the CMU CREATE Lab from 2015 to 2017. My work included firmware development, project fabrication, and helping build lab infrastructure. I also designed and fabricated an internet connected outdoor air quality monitor. I spend much of my free time biking, and in May of 2016 I rode from Pittsburgh to DC over the course of a week. I also enjoy working with my hands, especially bookbinding and woodworking. I grew up in Omaha, Nebraska, and attended Elkhorn South High School where I participated in band (French horn / mellophone), robotics, and quiz bowl. You can reach me at rjosephp95@gmail.com.